Today ever more people are converting their homes into open plan living spaces. Essentially this means creating a large space that is used for living, cooking and eating rather than having a separate living room, dining room and kitchen. There are also alternatives to creating a total open plan design, for instance you might want to remove a wall between your kitchen and dining room to create a kitchen diner, or you might want to connect your dining room and living room to make a larger space. It is possible to create a complete or partial open plan living space in many different kinds of homes including both modern and older style homes such as Georgian, Victorian and Edwardian. While there are many advantages of open plan living, it isn’t for everyone. The gains are the feeling of having much more space and light, along with a different cosier and more communal form of family life. The downside is reduced amounts of privacy; the concern that cooking smells can spread throughout the space; and the possibility of increased noise. In our busy modern lives, separate dining rooms are rarely used apart from on special occasions, but if you create a kitchen diner then you will have a space that is used all the time as well as for special occasions, so it makes much better use of your home. Whether you are creating a partial or complete open plan space there is far more to it than just knocking down the dividing walls. The first thing to do is to find out what kind of walls they are. Removing stud partition walls or a brick or block partition walls is relatively straight forward. However with load bearing walls, which are part of the structure of the building, then it is necessary to use proper supports and steel joists or beams to take the weight and do the job that the walls were previously doing. It is also important to calculate the size of beams that must be used. Generally planning permission is not required for removing internal walls. If you live in a listed building then you will need approval from your council conservation department, and if your property is leasehold then you will probably need written permission from the freeholder. It will be necessary to comply with building regulations as the structure must be secure and mustn’t create a layout that would contravene fire regulations. Of course there is more to creating an open plan than knocking down a few walls. You will probably need to replace the flooring; to move radiators and pipes; to carry out some rewiring; along with plastering and decorating. Going open plan is a big project, it will also be fairly disruptive while the work is being carried out, but it is also a project that will change your standard of living for the better giving you a greater feeling of space, much more light, and an improved way of family life. It will also add significantly to the value of your home. 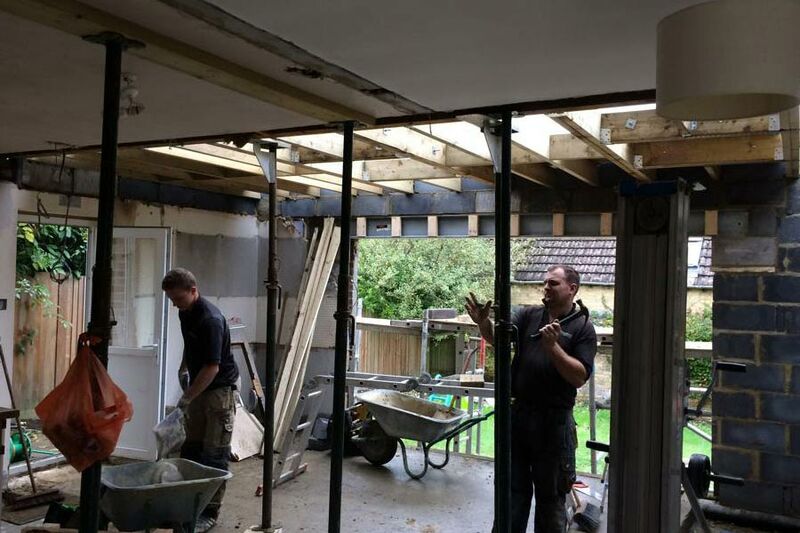 At Total Extensions we create open plan living spaces in homes in Tunbridge Wells and throughout Kent and Sussex, and all our customers are delighted with the result. If you have already made the decision to go open plan or to create a kitchen diner, or if you are only thinking about it, then we are more than happy to talk to you about it and advise you on your options.